filled application forms are invited from eligible and interested candidates. Duly filled online application form is invited from deserving appliers through proper channel for Apprentice 1092 Vacancies. Shortlisted applicants will be called for written exam / interview. Pay Scale candidates will be very good. Come on guys to avail this career chance of job apply. 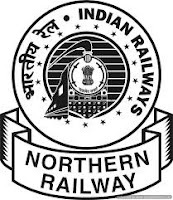 Further content connected with process to apply successfully for Northern Railway Recruitment are shown below. Applicants need to read details briefly to save from any problem to apply for offered vacancies. All keen desired applicants need to submit the form on or before last date that is 31st January 2019. Other best fit opportunities of careers in Railway form NR apart from this news will be provided in the official web site that is www.nr.indianrailways.gov.in. Participants are said Best of luck for this golden chance of job!! Details about NR jobs are given below by the web portal where you are right now. On the home page enter on ‘News & Recruitment Info’. Further choose ‘Recruitment Info’ link. After reading Notification fill form. At last recheck the form and send before last date.